A smaller version of the Alpine ST5000 for locations with limited space. Vends up to 36 items. Standard configuration offers 24 selections. The Alpine 3000 is also available in a variable temperature model, the VT3000, for vending candy and snacks as well as fresh food and beverages. The Alpine ST3000 can be financed through the factory’s in-house finance company, USI/Inland Finance, with zero down payment and up to 36 monthly payments of $188.07. Net 30 terms as well as ninety day interest free financing is also available. The price of the vending machine includes coin mechanism and bill acceptor and is credit card compatible. There is a two year parts warranty on all parts. 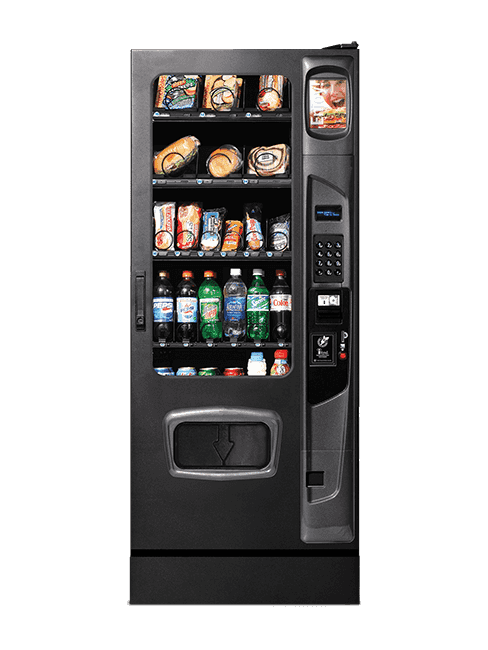 The Alpine 3000 is also available in a variable temperature model, the VT3000, for vending candy and snacks as well as fresh food and beverages. 72 inches high. 29-1/2 inches wide. 38 inches deep. ADA ready. Optional ADA compliant delivery bin lift available. Advanced styling and touch screen interface options. Programmable health safety by selection, range, or row. Motor pairing capable for vending wide products. Single and dual coil options. Large LED lighted point of sale window. New self-cleaning condenser coil with reverse on startup fan. Free lifetime telephone technical assistance by Des Moines based VendNet at 1 800 833 4411.